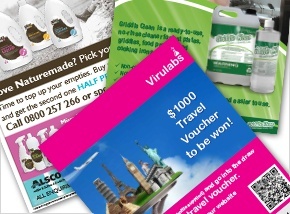 From labeling and branding advice, to Product Info Sheets, Safety Data Sheets, Applicator bottle systems, dilution control systems, instructional wall charts, market advice, national training plans and promotional strategies, our extensive contract manufacturing knowledge and expertise, we have you covered. 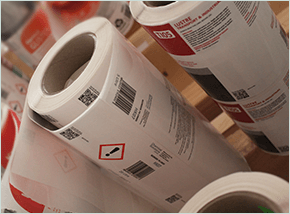 Making sure that your label meets strict HSNO and GHS compliancy requirements, while still having a design edge unique to your brand and market needs. 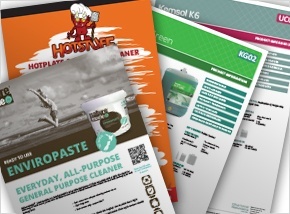 As a part of our extensive marketing support program we can supply you with custom designed information sheets outlining product use and directions, features and benefits so that your customers know exactly what your products are all about. 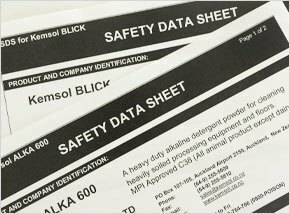 It is a HSNO requirement when cleaning chemicals are being used in a commercial situation, that a compliant Safety Data Sheet be available to users. Don’t worry, we will generate these for you. A great tool for you to supply to your customers. A fully customised usage guide outlining products by application. We can produce these for you too. We have a wealth of knowledge within our ranks. 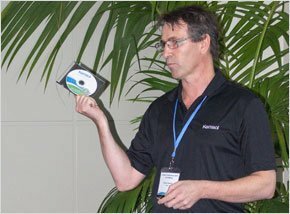 From intricate knowledge and understanding of current markets to extensive technical knowledge of safety & awareness and the use of chemicals. 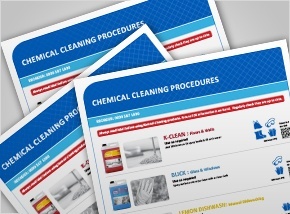 Come and talk to us, we offer full training in all aspects of the cleaning chemicals industry. Promotions are a fantastic method of increasing brand/product awareness as well as increasing sales of established products. We have over 20 years experience in bringing products to market and growing sales and are more than happy to assist you in developing a robust promotional strategy for your next big idea!